This analysis presents an example of how we are analyzing the films of the exorcism cinema subgenre for how they reflect the traditional exorcism narrative, which you can read more about here and here. This analysis is based on the notes we took while watching the film, which are given here. The 2012 film The Possession (dir. Ole Bornedal) attempts to replicate a sense of realism to heighten the horror of the situation. On the DVD for this movie, a documentary accompanies the film to provide viewers with the real story of dybbuks and dybbuk boxes, the vessels designed to hold such malevolent spirits (and which somewhat resemble the puzzle box from Abby, a Blaxploitation exorcism film). Opening with the words “the following is based on a true story,” the film immediately attempts to lend a sense of verisimilitude to its tale of a dybbuk tormenting a non-Jewish family, who seek help from a member of a fundamentalist sect of Judaism to perform the exorcism. In The Possession, a young girl named Emily (Natasha Calis) buys an antique wooden box engraved with Hebrew letters at a yard sale. Later that night, she hears whispering coming from inside the box, so she opens it and discovers a tooth, a dead moth, a wooden figurine, and a ring, which she immediately places on her finger. The next morning at breakfast, Emily becomes increasingly sullen, and she even stabs her father, Clyde (Jeffrey Dean Morgan) in the hand with a fork just as a whisper of moths invades the house. That night, Emily suffers a seizure and Clyde’s ex-wife, Stephanie (Kyra Sedgwick), takes the girl to the hospital for an MRI, and Clyde and Tzadok arrive soon after to perform the exorcism. They strap Emily to a stretcher to keep her stable during the ritual, but she breaks free and attacks Tzadok before fleeing from the room. Clyde follows and tries to calm her, but she attacks him, and which point the dybbuk enters Clyde’s body. Tzadok arrives and drives the evil spirit back into its box. Afterward, Tzadok drives off with the box, but a truck sideswipes his car and kills him. The box lands safely away from the wreckage, and the film fades out as the dybbuk whispers the same Polish nursery rhyme heard during the film’s opening sequence. Like The Exorcism of Emily Rose and Amityville II, The Possession deviates from the traditional exorcism narrative because it does not position a doubting priest figure as the protagonist. Instead of a priest rekindling his faith by combatting demonic evil, the film depicts a concerned father trying to redeem his young daughter, who becomes rebellious and increasingly dangerous after she becomes possessed. 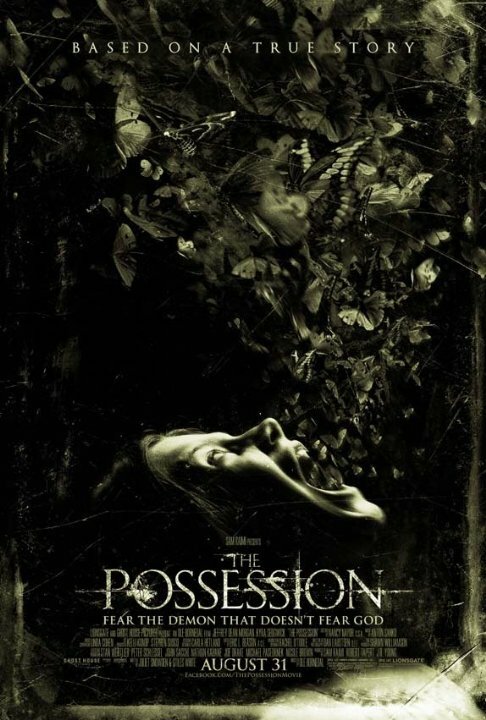 While not a priest, Clyde does assume the task of understanding Emily’s possession and arranging her exorcism; thus, the film depicts him as responsible for removing the threat. However, Clyde’s arc appears less about faith in a higher power and more about faith in himself as a man and a father. Through the film, Clyde struggles with his masculinity, his control over his estranged daughters, and his identity as a father in the new familial arrangement that arose following his divorce from Stephanie. The film portrayals Clyde as masculine, but he needs to learn to care more for his daughters. His journey, then, requires him to uncover this side of himself. The film repeatedly depicts him as unstable, angry, and incompetent as a father, and yet only he believes correctly that something odd surrounds Emily. Clyde discovers his faith in himself when he beseeches the Hasidic Jews to perform the Emily’s exorcism, but this faith comes with a price: Clyde’s masculinity. Having conducted research into dybbuks, Clyde thinks he can perform the exorcism himself; thus, he tries reassert his control, his power, over his daughter’s life. This, of course, fails, because he does not have the religious conviction necessary to cast the demon out. Realizing he cannot successfully perform the exorcism, Clyde seeks out the help of the Hasidic sect. In asking for help, however, his masculinity fails as he cries, begs, and pleads with the rabbis. His pleading reaches nearly hysterical levels as he breaks down out of concern for Emily’s life; indeed, Clyde reaching out to the rabbis feels even more emotional than when Chris sought Father Karras’s help in The Exorcist. While this pleading possibly indicates a dissolution of Clyde’s masculine nature, and thus becomes undesirable, his decision to seek help also suggests he has uncovered his ability to care for his daughters and put their welfare before his own. He has found his faith in himself as a father, which the film reinforces during the actual exorcism. When Emily breaks free and flees, Clyde chases and finds her; at this point he does not appear scared, only concerned, and he assumes the role of the strong paternal type by embracing Emily and calling on the demon to possess him. Clyde has found faith in himself, and doing so saves Emily from the possession, as well as saving society from the threat she represents. Emily’s possession helped Clyde learn to be a better father, which reunites the family at the film’s end. Clyde implies he will stay with his family, and thus the film returns the family to the normality that existed at the beginning of the film, prior to the possession, as well as realigns them with the Western sociocultural familial ideal. Overall, the film implies that the possession—which in this film, as in The Exorcist, acts as a proxy for Emily’s entrance into puberty—actually restores patriarchal notions of the nuclear family, because such crises reinstate the father to his rightful place at the head of the family. Thus, foregrounding the father-daughter relationship in this manner appears to function as narrative device that allows for the legitimization of patriarchy. Of course, the primary way the film aligns with the traditional exorcism narrative emerges in how it relies on Emily’s possession as a metaphor for a prepubescent girl’s transition into adulthood. Once again, an exorcism film portrays the possessed girl as the young daughter of broken home; as with Regan from The Exorcist and Gul from Seytan, Emily’s recently divorced parents do not get along. Furthermore, the film presents Emily’s possession as an allegory for teenage rebelliousness and puberty. Early in the possession, Emily looks at herself in the mirror, and then starts gagging as fingers crawl up the back of her throat, which she can only see by looking in the mirror. Emily appears scared, because she suddenly loses control of her own body. She wears only white during the sequence, and shows no sign of physical puberty; the film portrays her at the cusp, still looking like a child with a child’s innocent way of thinking. Later, Stephanie finds the possessed Emily in the kitchen, eating raw meat and crying about it (she normally adheres to a strict vegetarian diet). Emily growls at her mother and lashes out at her mother, moving like an animal. Afterward, she hoarsely cries out “Em’s not here,” and the possessed voice sounds like a combination of Emily and an old woman. Emily then jumps into her mother’s arms, cradling a piece of glass, and asks, “Who am I?” Girls often ask such questions while experiencing puberty—who am I, what am I, what will I be? These questions signal the onset of adolescence and identify formation as a child seeks to find her place in the world. We should not that the film downplays the link between possession and female sexuality, perhaps to avoid imbuing the story with any sort of problematic incestuous overtones. Yet, the link between possession and feminine agency remains strong throughout. Thus, while The Possession minimizes the traditional exorcism narrative’s sexual overtones, the film nevertheless highlights the importance of a woman gaining control over her power and her agency because Emily’s possession doubles for the metaphorical struggle a girl experiences as she makes the transition from girlhood to a womanhood. In many ways, Emily’s possession represents an attempt to gain a sense of her place in the world, as the possession allows her to exert independence and assume control over her life, which includes speaking truth about her father’s character. At one point, concerned with Emily’s obsession with the dybbuk box, Clyde throws the box in the trash. Emily cries, shivers, and declares she wants the box, but Clyde refuses to retrieve it. Emily then lashes out at him, saying she hates him, doesn’t love him, that Stephanie doesn’t love him, and that he thinks he knows everything but doesn’t. She even attacks Clyde’s manhood by implying that Stephanie’s boyfriend does things Clyde never could, which emasculates Clyde. Emily also frames Clyde for hitting her, which helps Stephanie get a court order preventing Clyde from seeing his daughters. Ultimately, the possession becomes a way for Emily to assert control over her life and remove herself from Clyde’s domineering influence, while the exorcism functions as a way for Clyde to regain control over his little girl and thus restore his position as the paternal authority figure. Indeed, Emily only asserts herself because she becomes possessed, which the film depicts as a problem for her and those around her. Thus, as with other exorcism films, Emily’s desire for and enacting of agency threatens society, and only a man can restore her to a state of innocence and obedience, thereby restoring her to her proper place within the newly reestablished family unit.